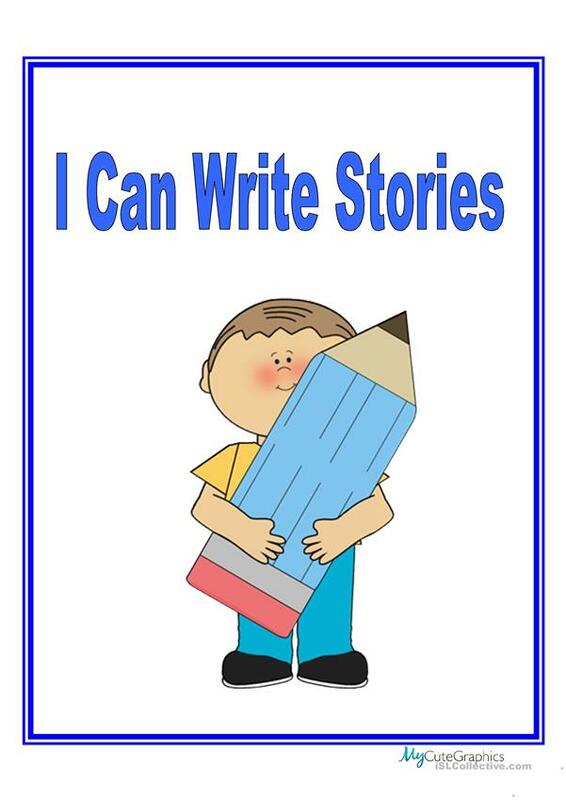 Cover for "I Can Write Stories"
Alternative cover for the I Can Write Stories booklet. There are 14 pages in all. 11 different ones.Bind in spiral or use individually.The cover is for the pre-A1 level or Junior A. The present downloadable printable was created for elementary school students at Beginner (pre-A1) level. It is a valuable material for improving your class' Writing skills. It features the vocabulary topic of Storytelling. kifissia is from/lives in United States and has been a member of iSLCollective since 2011-10-12 07:37:58. kifissia last logged in on 2019-04-21 04:13:25, and has shared 385 resources on iSLCollective so far.